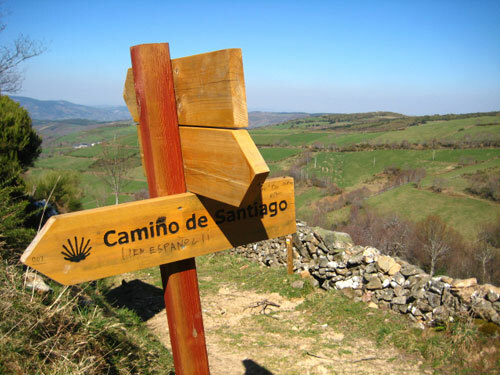 This Walking Holiday explores the seventh section of the Camino Frances / French Way, the most traditional of all the pilgrims' ways to Santiago de Compostela and the best known internationally. 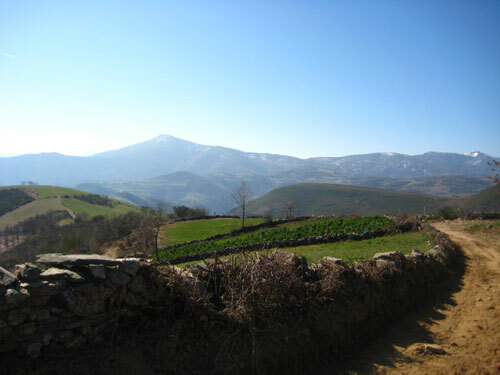 Starting in the mountain-hugging town of Ponferrada and finishing in Sarria, a bustling market town, this Camino crosses the magnificent O’Cebreiro Mountains before winding down to a more gentle terrain. You will be pre-booked in a traditional hotel in the heart of the town. 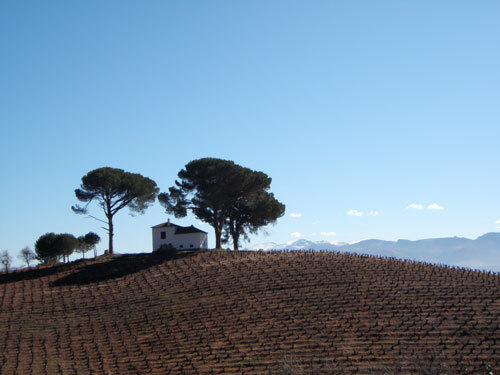 Today you will cross the region of Bierzo, a sunken plain nestled within a ring of mountains. It is a fertile land, whose agreeable climate allows the cultivation of many types of fruits and vegetables. In Villafranca, don't miss the garden of the "Iglesia de Santiago". Prepare for a challenging day with an ascent of 1000m. You will pass through the narrow valley of the river Valcace before tackling the ascent of O Cebreiro. Situated between the ranges of "Los Ancares" and "La Sierra do Courel", this stage involves a steep climb in the course of only a few kilometers. From O Cebreiro the trail passes through the "Sierra de Ranadoiro" (Ranadoiro Mountains) and, after crossing the Alto do Poio, it descends into the valley to the village of Triacastela. 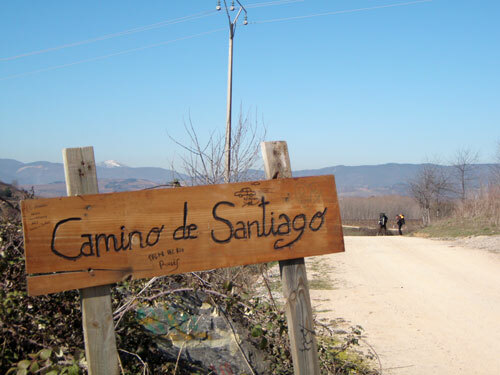 Of the two Camino options, the "San Xil" Camino offers scenery that will uplift your spirits and encourage you on your way. 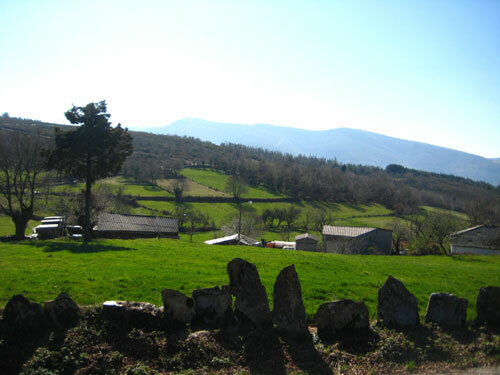 It has many "Corredoiras" (narrow forest routes) with paved pathways that cut through typical Galician oak woods. If you wish to visit Samos, you will pass through the narrow valley of the river Ouribio, mostly following the road. 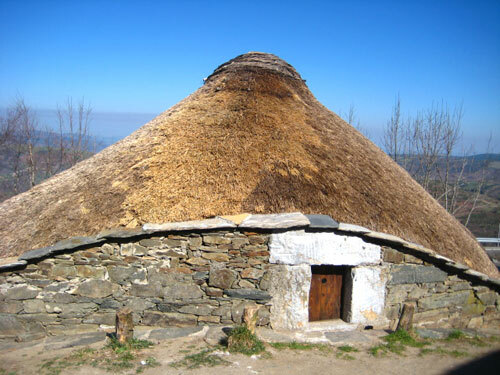 ♦ Getting there – From Santiago to Ponferrada there are two option – by bus or by train. If you choose the bus, firstly you will take a shuttle bus to the bus station and then the direct one to Ponferrada - 3-4 hours journey. See the timetable and book online: www.alsa.com. The train has 2 departures a day and the journey is 4 hours. You can check the timetable and book tickets online here: www.renfe.com. The train from Madrid takes 5-6 hours. See the timetable and book online: www.alsa.com. 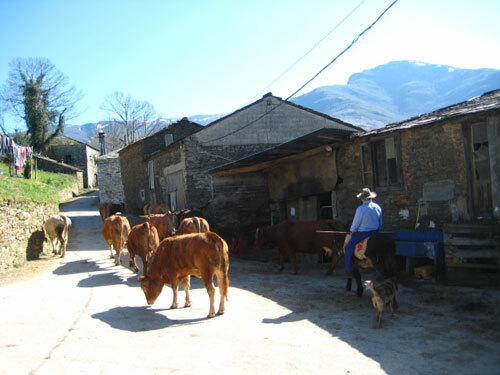 ♦ Getting back – From Sarria to Santiago you can go by bus – firstly take a bus to Lugo (30 minutes journey), and then a direct bus to the airport in Santiago, which lasts 1.45 hours. To Madrid you can take a train, the journey is 8 hours and you can check the timetable and book online on this link: www.renfe.com.